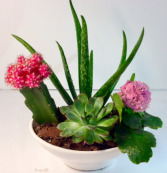 Make someone's holiday with this traditional ceramic and metal sleigh. 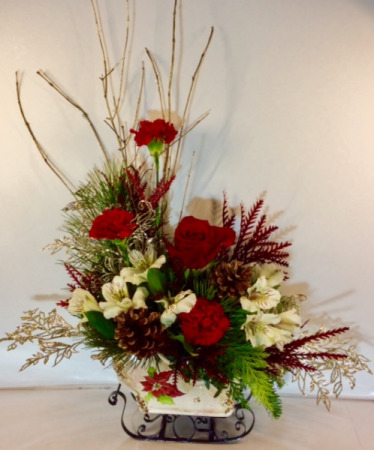 It is filled with fresh evergreens, branches, gold glittery picks, pine cones, carnations, alstroemeria and a rose. 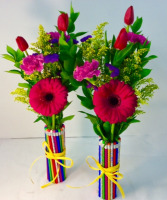 Cool and creative describes this fresh arrangement in a glass cylinder adorned with real pencils and a raffia bow. 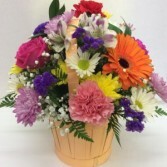 It is filled with a bright pink gerbera daisy, golden aster, tulips, carnations and purple statice.